Tisca's dressing is little unique and also relaxed and casual. Mostly we do like what she wears. This time however, she did not manage to touch our heart. It could have been a nice outfit, had it been styled differently and more carefully. 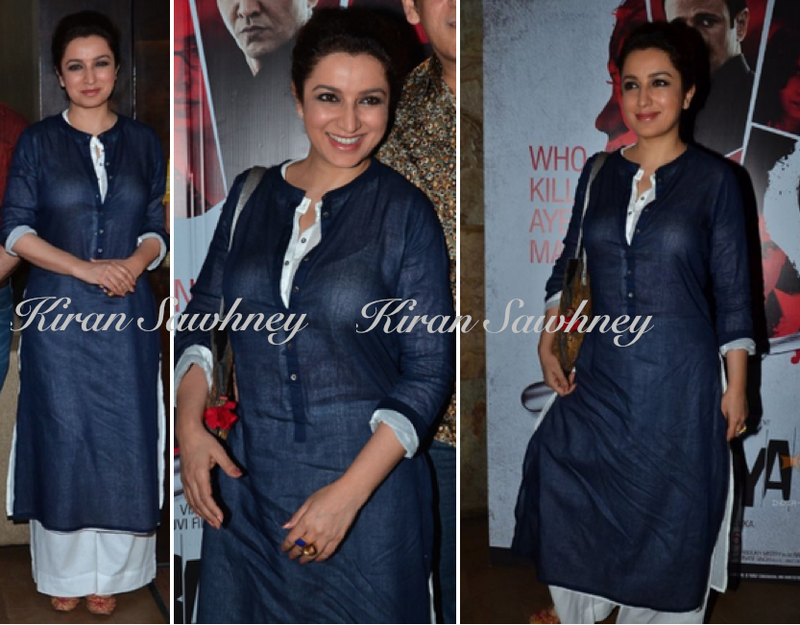 For Rahasya screening she wore Sustain by Good Earth suit. Wish she had not chosen those pajamas (wide leg pants) with that extra long shirt. She just about missed it.